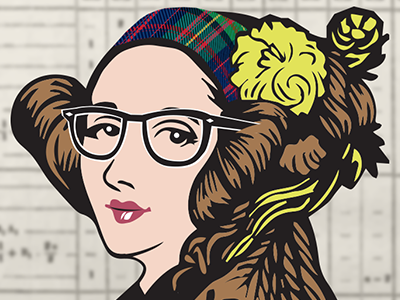 Although Ada was a pioneer for women in STEM, I personally think that a deep and fascinating thing about her was her tenacity for the unconventional. For every generation of women there seems to be a cookie-cutter status-quo for the things one should or shouldn’t do. There are many examples of this through history … but we never really hear about them. History only seems to record the people who disembodied the expected paths – shake up their routine and embrace their own dreams. Ada was a key example of this; in England during the 1800’s from an aristocratic background and with an intelligent mind she could have just been another exquisite debutante; using her brain only to make witty comments at society dinner tables. She could have self-imposingly stifled her mind. She could have been like all of her friends and conformed to the world around her. In order to fully utilise your mind and inner-person you need to be able to know who you truly are… watching the same TV shows everyone else is watching, dressing, speaking, acting the same way and keeping up with all this culture has to offer is like drinking the ‘Kool-Aid of the age’. Every generation has a cookie-cutter type that the majority conform to. 2018‘s mould is very different from 1818’s mould – but it is a mould nevertheless. Don’t indulge in the culture and what everyone else is doing. Harness YOUR personality, spend time alone and cancel out the noise. Think about why you’re here, figure out who you are and be authentic enough to embrace your blueprint originality and be true to yourself, even if it’s not what everyone else seems to be doing. That’ll be your way of finding your inner-Ada.